Following the LA Auto Show unveiling of the ‘first edition’ and range-topping Quadrifoglio variants, Alfa Romeo has now revealed the rest of the Stelvio range in Europe. 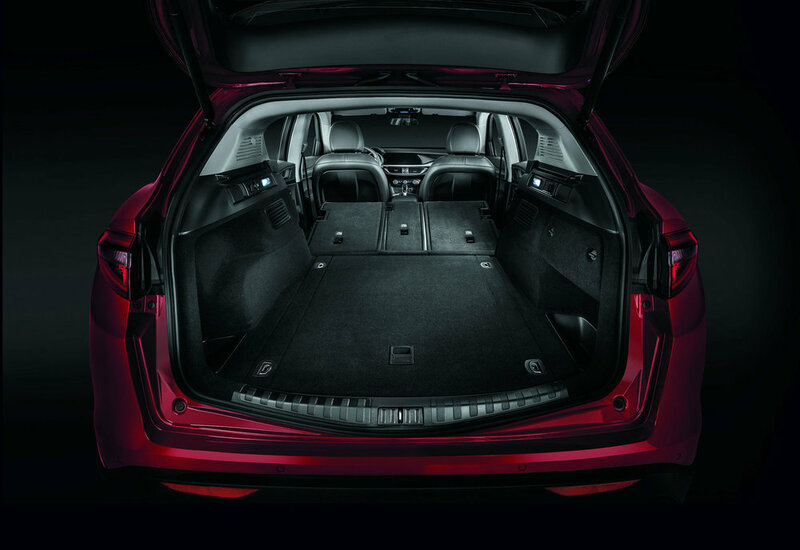 Available in three trim levels - base, Super and Tecnica – the SUV will initially be available with a choice of a 280hp 2.0-litre turbocharged petrol or a 210hp 2.2-litre diesel engine, both mated to an 8-speed automatic transmission and Q4 all-wheel drive. The entry-level Stelvio is equipped with 17-inch alloy wheels, an 8.8-inch touchscreen with Connect infotainment, Alfa’s D.N.A. Rotary driving mode selector, an 8-speaker audio system, parking sensors, cruise control, electric tailgate (for access to the 525-litre boot) and dusk and rain sensors. Standard safety kit includes Integrated Brake System (IBS), Lane Departure Warning (LDW), and Forward Collision Warning (FCW) with Autonomous Emergency Brake (AEB) and pedestrian detection. The Super adds 18-inch alloy wheels, techno-leather and fabric seats in a choice of three colours and three options for the dashboard and door panels as well as door sills with steel inserts, while Luxury and Sports Packs are also available for customers looking to go the extra mile. The Tecnica version is geared towards fleet, corporate and professional customers. Exclusively available with the Diesel engine, it features the 8.8-inch Alfa Connect 3D Nav, Bi-Xenon headlights with AFS and electric folding mirrors. The new 280hp, 2.0-litre turbocharged petrol engine is a 4-cylinder unit built entirely of aluminium with a carbon drive shaft, combined with the automatic 8-speed transmission and Q4 all-wheel drive. Peak torque of 400Nm at 2,250 rpm delivers best in class acceleration, says Alfa Romeo, with zero to 62mph in 5.7 seconds and a top speed of 143mph. The Stelvio will also be available with a 2.2-litre diesel engine – available with two power outputs: 210hp at launch and 180hp following shortly after. It is the first diesel engine in Alfa Romeo's history to be constructed entirely in aluminium and the 210hp version reaches a top speed of 133mph with acceleration from zero to 62mph in 6.6 seconds. 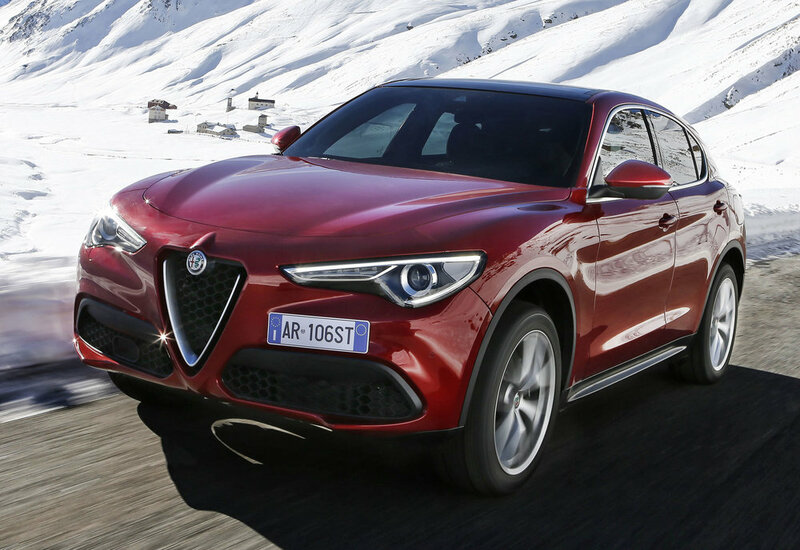 Alfa Romeo claims ‘the most direct steering ratio in the segment’ for the Stelvio, and that this – combined with all-wheel drive, 50/50 weight distribution, ’state-of-the-art suspension’ and ultra-lightweight, hi-tech materials – delivers ‘sector leading handling’. UK pricing and specification for the Stelvio have yet to be announced. New Fiesta ST gets 200PS from 3 cylinders!